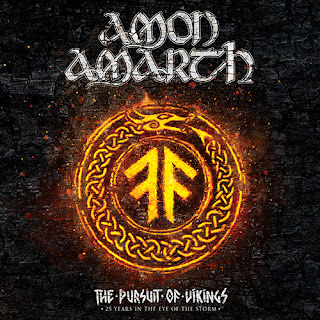 Δελτίο τύπου: «On November 16th, Amon Amarth will release their new documentary and supporting live album(s), The Pursuit Of Vikings: 25 Years In The Eye Of The Storm - which includes a retrospective documentary that features a wealth of live and behind-the-scenes content and extensive band interviews. This film tells the Swedish quintet's history, through both their own eyes and those of the fans that have supported them along the way. It is a thrilling collection that pays respect to the faithful, as well as making for a detailed and riveting introduction for those new to their inspiring story. 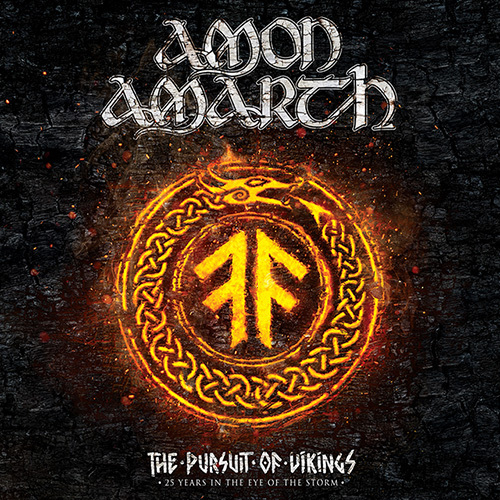 Video: "Twilight of the Thunder God"
Album: "The Pursuit of Vikings: 25 Years in the Eye of the Storm"